This is the fifth week, so far we have done Week 1: Grow Green Hair, Week 2: Angry Water Birds, Week 3: Ice Cream Burgers, Week 4: Onesies Movie Marathon, Week 5: Build Solar System. Little man is loving the #SaveSummer activities! 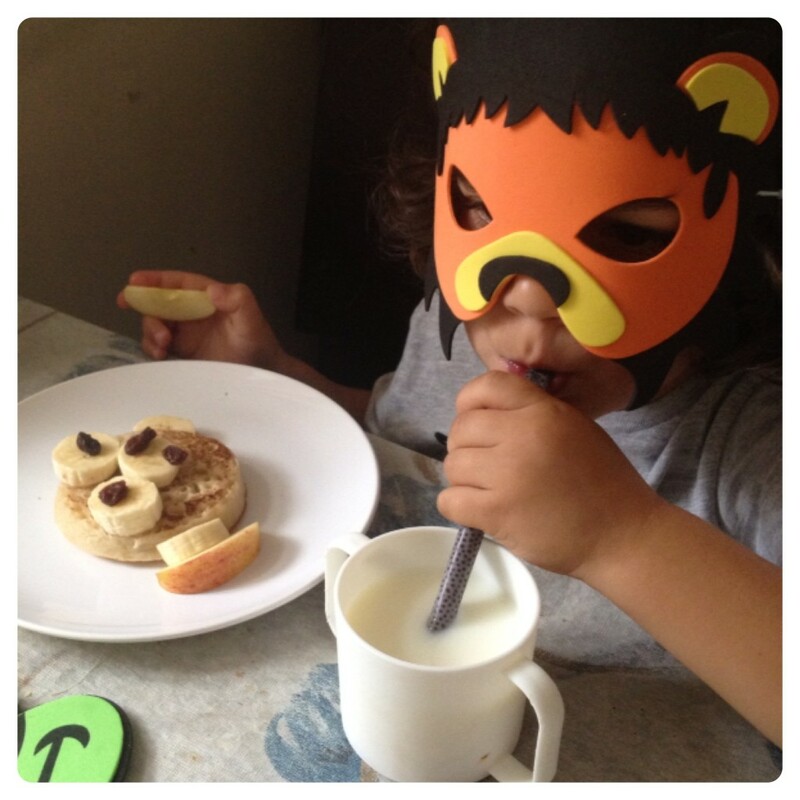 Let’s go wild with Jungle Breakfast – feed your hungry creatures with a breakfast that could last until dusk. 1. 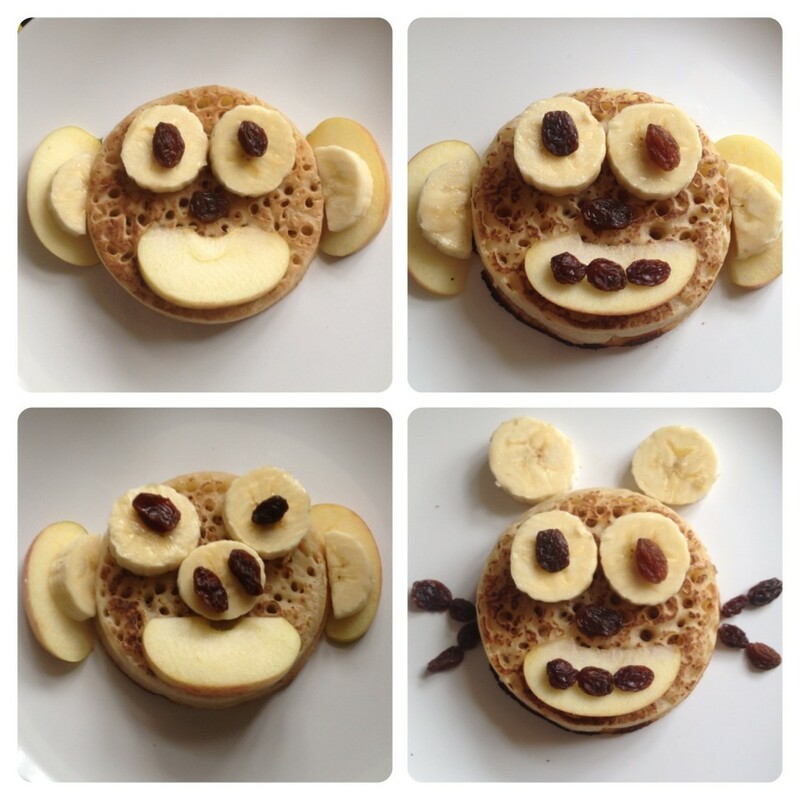 To make a monkey, toast one crumpet and cover with butter and honey. 2. 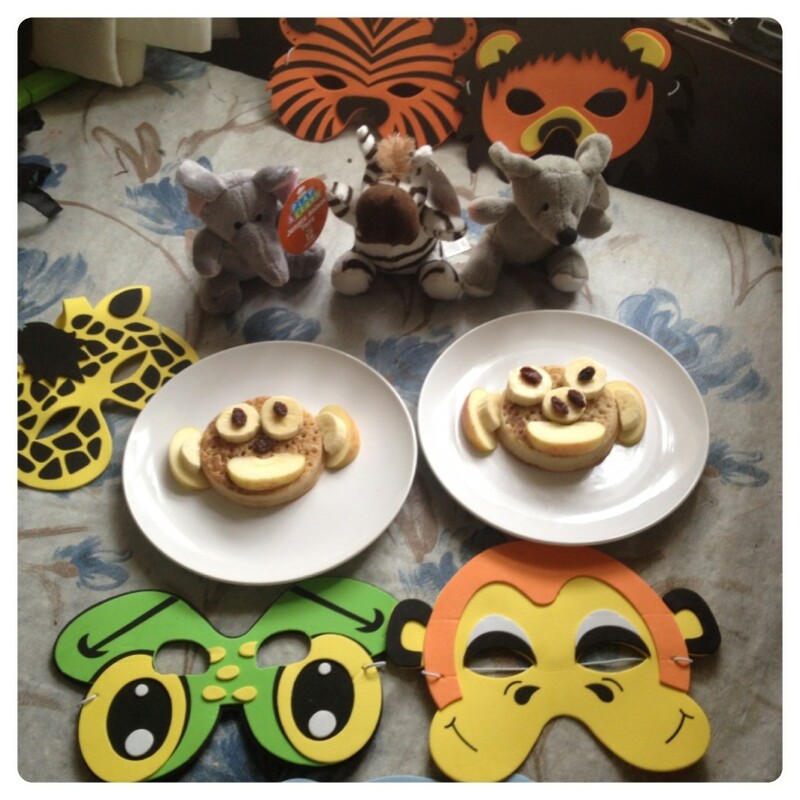 Cut three pieces of apple per monkey for ears and a snout, use raisins to make eyes, noses and mouths. We also used a piece of banana for each eye. 3. To make a jungle drink, mix equal parts of pineapple juice and coconut milk and serve with fancy fruit and umbrellas. 3. 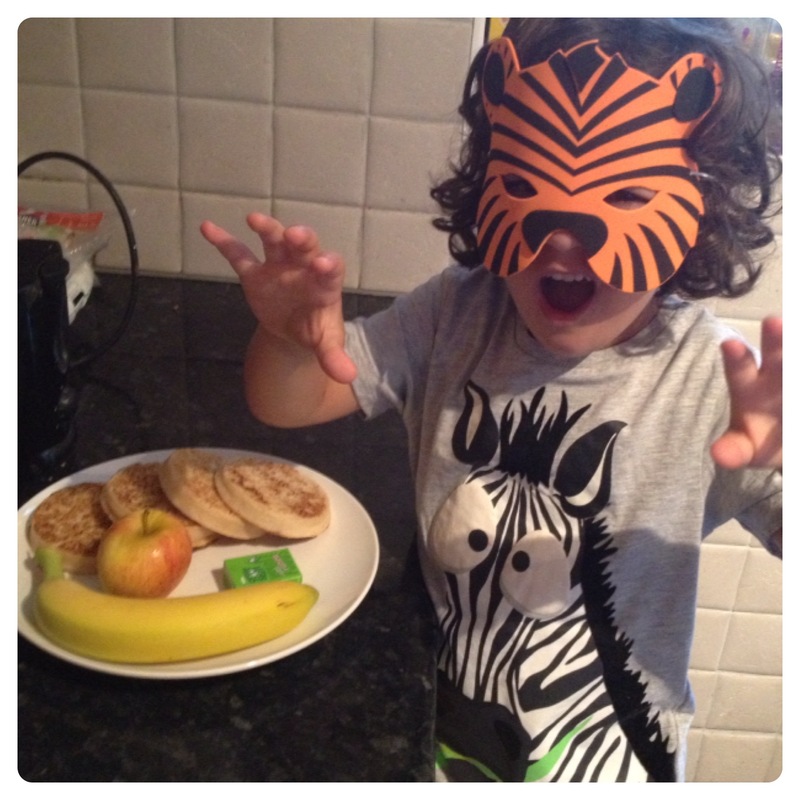 Colour in the animals masks, template can be found at http://assets.asda.com/media/pdfs/PDF_Animal_masks.pdf, cover the kitchen in jungle decorations and enjoy your breakfast. 4. Share your pictures using #SaveSummer. 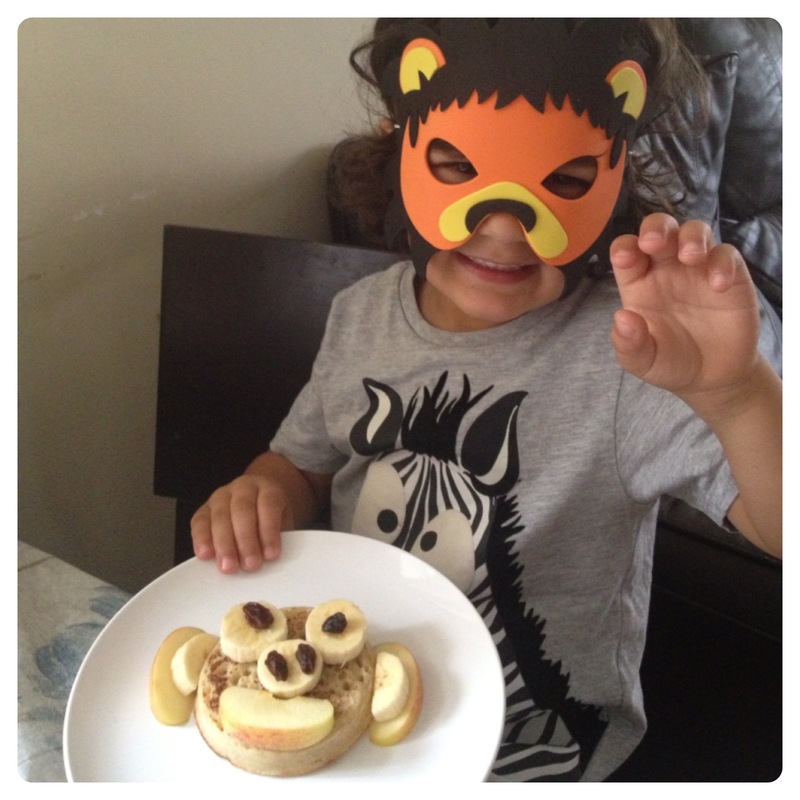 Little man loved the idea of having a jungle breakfast and making monkey faces out of crumpets. I sliced the fruits and let him get on with it. 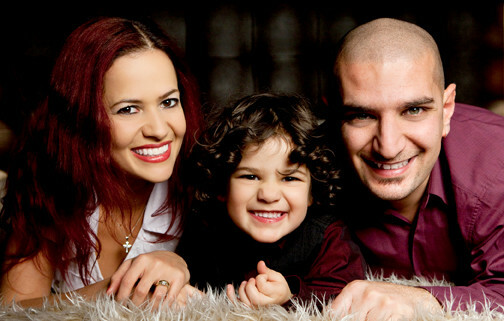 I’m quite surprised his monkey face was, very similar to mine. We made a few monkeys and we also tried making a mouse. 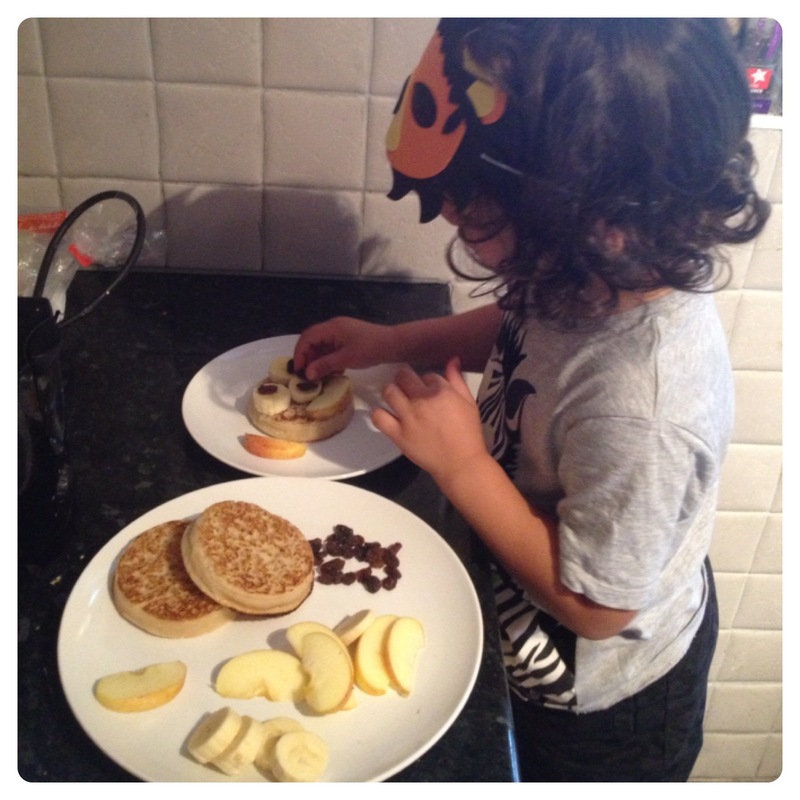 We had a lovely breakfast, it was enjoyable and very tasty, and we will be having another jungle breakfast soon!